The Russian television industry is constantly growing. Many Russian TV series have even made it to the global market, thanks to Netflix, which recently bought rights to distribute these high quality series for audience all over the world to enjoy. 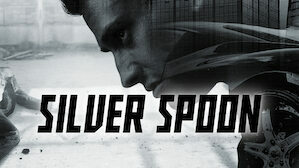 One of the top-rated Russian TV series that has gotten global recognition is Silver Spoon. As the title might suggest, it tells about the story of Igor, a guy ‘born with a silver spoon’, who is forced by his father to enter police work after his father got fed up by his spoiled-brat attitude. Although he started as an underdog, constantly underestimated by his workmates, slowly Igor gets a grip of being a police, and even investigates secrets regarding his mother’s death 20 years ago. It best suits audience with a love for crime drama series with mind-boggling mysteries along the way. Check out these 6 reasons to watch the global Russian police drama series “Silver Spoon”! Who doesn’t love a good mystery series with clues and plot twists dangling in each episode, pulling audiences to keep clicking next episode on Netflix? Silver Spoon is one of those TV series with a thrilling plot that will keep audience’s heart rate pounding fast while trying to guess what’s coming next for the main character. Just when the main character thinks he almost has the answer, oops! An unexpected twist comes along the way and messes up his investigations once again, and it seems that the character is in the dark all over again. If you’re not the type of person to loyally commit to watching a series completely, Silver Spoon understands. You don’t need to really follow through since episode 1 if you don’t have the time or heart. You can start watching at any episode you randomly find, because each episode is dedicated to investigating 1 police case. Of course there is a bigger plot that lies ahead, but if you don’t watch from the start, it won’t be too hard for you to understand at all. Audiences who are not from Russia may get a glimpse of the Russian life habits and culture from this police drama. This series even presents a satiric image of the luxurious yet corrupt and dark life of the elites, from the club parties, expensive car races, cocaine smugglings, and prostitution. The creators’ bold move in presenting these dark themes has been one of the reasons this series receives such positive reviews from all over the world. Even though many Russian lifestyle themes are brought to life in this series, it doesn’t mean that this series does not relate to people all over the world. After all, not only Russians can enjoy this series! The other aspects of the plot line are completely understandable and relateable to audiences from any background or part of the world. Who is not familiar with stories about a spoiled rich boy, family issues, mysteries, and fitting in to a harsh environment? These universal themes are addressed in the series, making it a pleasant and relateable watch for audiences no matter what their nationality is. 5. You can learn Russian passively! Learning Russian language can sound like such a hard thing to do, but there are some unexpected ways you can teach yourself the language, such as by watching Russian TV series. This series is a great choice if you’re planning to improve your Russian. Of course, you might need to turn on subtitles to guide you through, but if you focus and even take notes on some new words you encounter, this series can be a great helper for you to learn Russian language. The conversations in this series are not that advanced for beginner to intermediate learners, plus, you can get a whole new list of vocabularies related to the police and crime world! Even if you’re not such a huge fan of police crime type of series, you can still enjoy this one. The complicated plot also mixes in other genres, such as the romance between Igor (the main character) and his Captain, and the family values shown between Igor and his father, and of course, how they handle the grief of losing Igor’s mother in an apparent suicide. The series does a good job in switching between heavy police work plots to calmer dramatic moments that do not really involve shooting and investigations. So, any kind of audience can enjoy this series, not just the police-drama fans. A good TV series is one where you can feel immersed in the story line and the characters’ life. Well, this globally-loved series does not disappoint in that aspect either! Our main character Igor started out as an annoying spoiled brat with no redeeming quality, but as the story unfolds we’ll learn that there’s a deeper darker side to him and his past life. We’ll be able to sympathize with him and feel involved in his struggles to solve the mystery surrounding the death of his own mother. Through the seasons, the characters have developed well according to the plot and it makes us even more hooked on the series, just to see if their struggles will pay off in the end.